A sweet little novella set in 19th century Brighton, England. 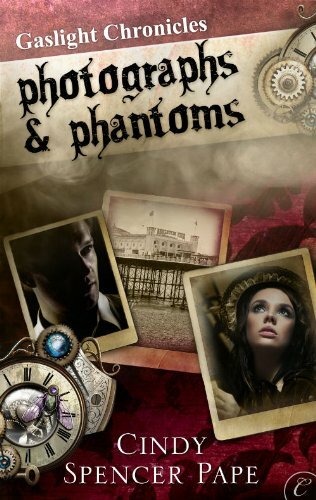 Photographs & Phantoms is pretty much your standard romance short story. There is the girl with the problem, in this case a ghost that seems to target clients she takes photographs of, and there is the awesome-wizard-guy that comes to save her. And while he’s playing Superinvestigator, they fall in love. The mystery was actually pretty good, I liked how everything came together in the end. Although I think the ending was quite abrupt, I would have liked to see a few more pages about the how’s and why’s. While being advertised as a steampunk romance, this book was a little bit too light on the steampunk references for my taste. This book could just as well been set in the “ordinary” 19th century, it wouldn’t have changed a thing. Luckily, I like normal historical novels too, so this was an entertainingly quick afternoon’s read. 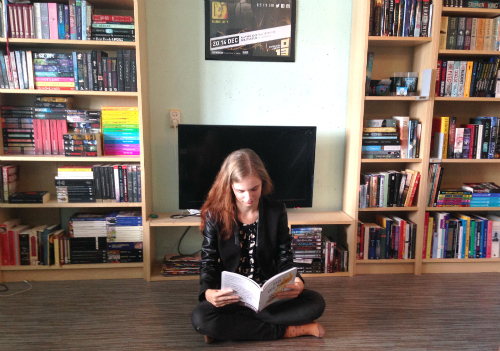 As a member of the Order of the Round Table, Kendall Lake is overqualified to be investigating strange phenomena at a seaside photography studio. But since the photographer is related to the Order’s most powerful sorcerer, Kendall reluctantly boards a dirigible to Brighton. Amy Deland is haunted by a shadow that appears in some of her recent portraits. In each case, the subject died within days of the sitting. Does she have her grandmother’s gift of foresight, or has she somehow caused the deaths?